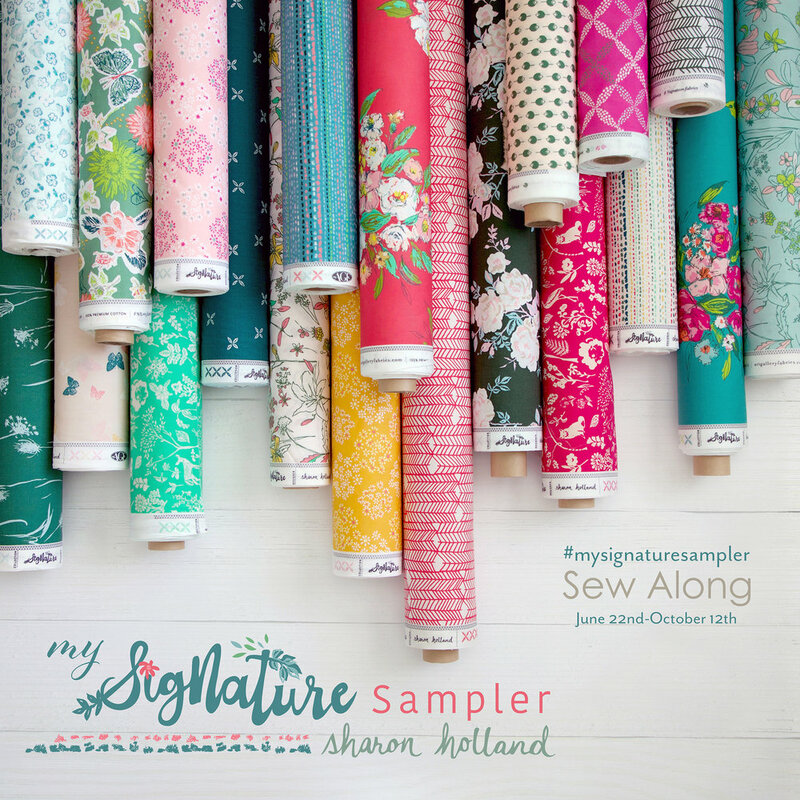 Welcome to week number 9 of the My Signature Sampler sew along. 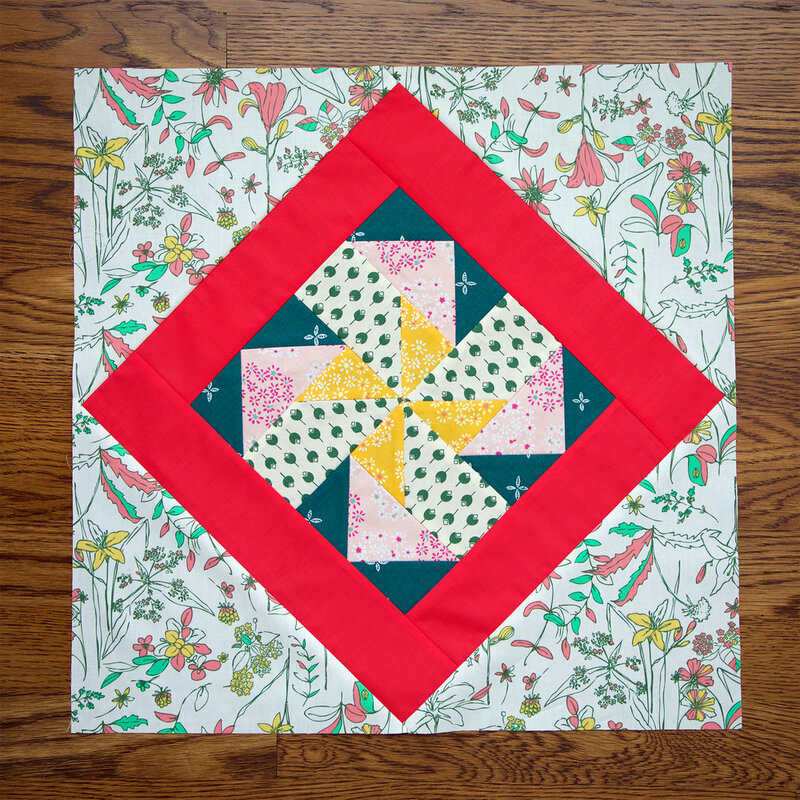 This week's block is called Squares in Diamond and is a block from the Art Gallery Fabrics Quit Block Collection. Be sure to click the Read More to expand the instructions text if you'd like to read the instructions along with the You Tube video. 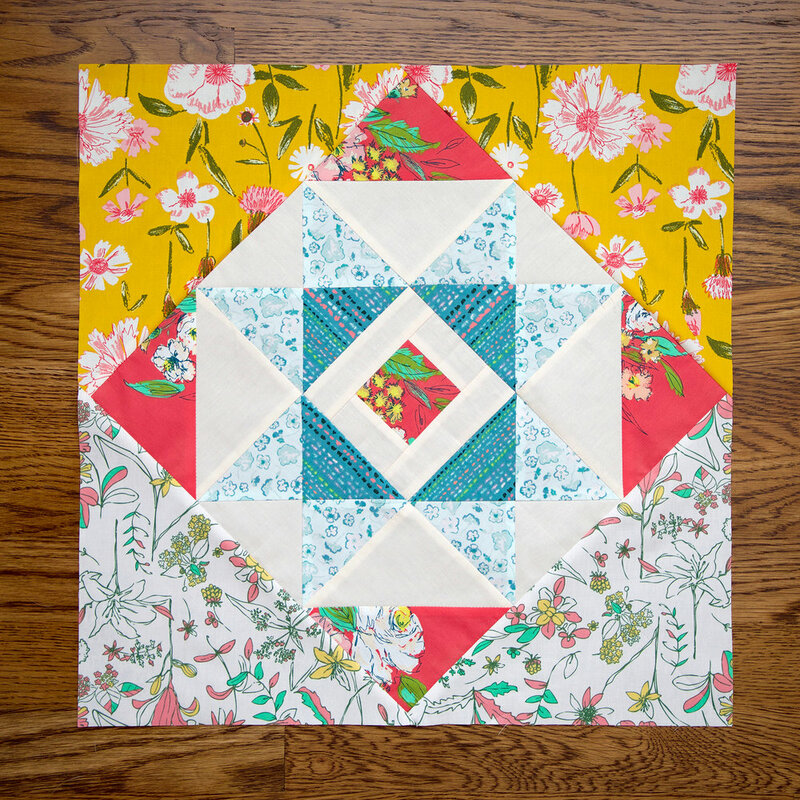 My blocks are made using the prints from the Signature fabric collection I designed for Art Gallery Fabrics and AGF Pure Elements solids for my blocks. For stock lists of online shops that carry my Signature and other collections I've designed for AGF, visit my Fabrics page or the Where to Buy page on the Art Gallery Fabrics site. Yard work, painting, sewing, repeat. 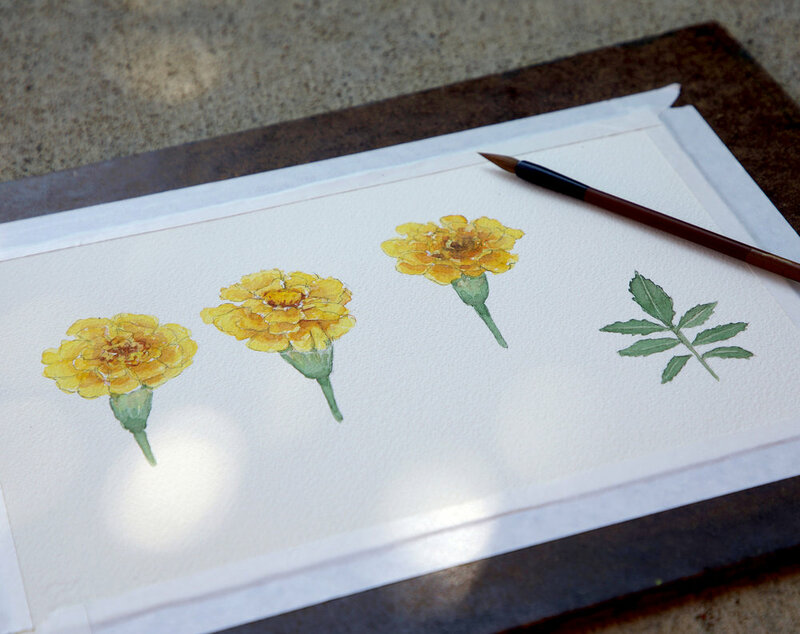 I have been enjoying this summer because basically my life has revolved around the garden wether I'm out tending my yard, painting blooms from my gardens, or sewing with Signature fabrics--it's so inspiring. I'm also in the process of designing a new fabric line for spring so much of this art work I'm creating this summer will be used in some fashion in upcoming prints! I thought you'd like to see some of the process work now and next year you can be sewing with the fabrics. I also wanted to say thank you for the love and support you always bring to the party! 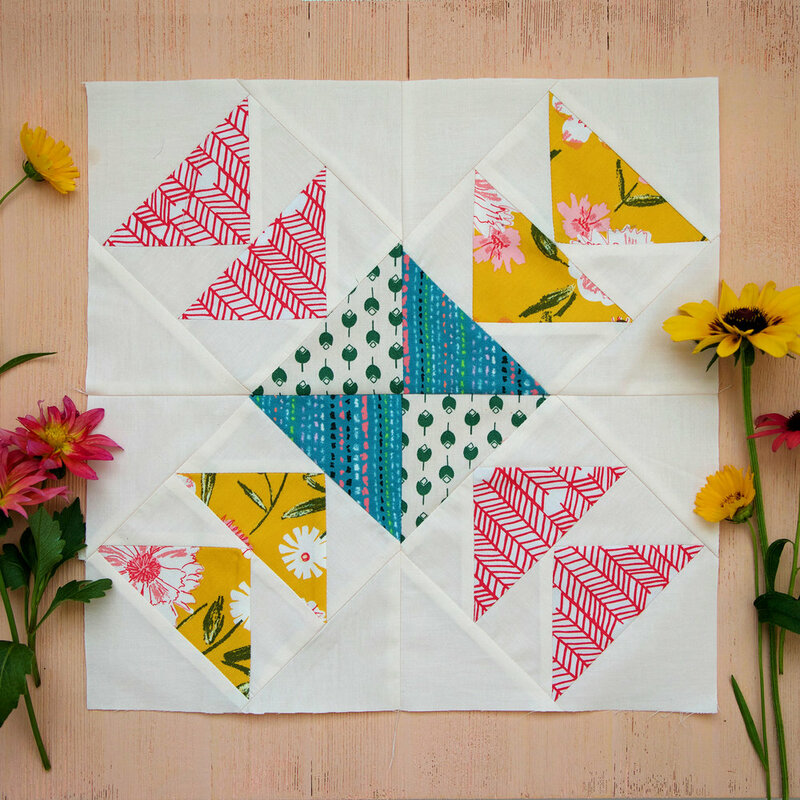 The sampler blocks you've all been posting to Instagram are so beautiful and I'm seeing block versions that make me want to resew mine and get that same look! These quilts will be gorgeous and we're about half way done so keep up the great work! I've already been adding my setting triangles to my finished blocks as I make them. 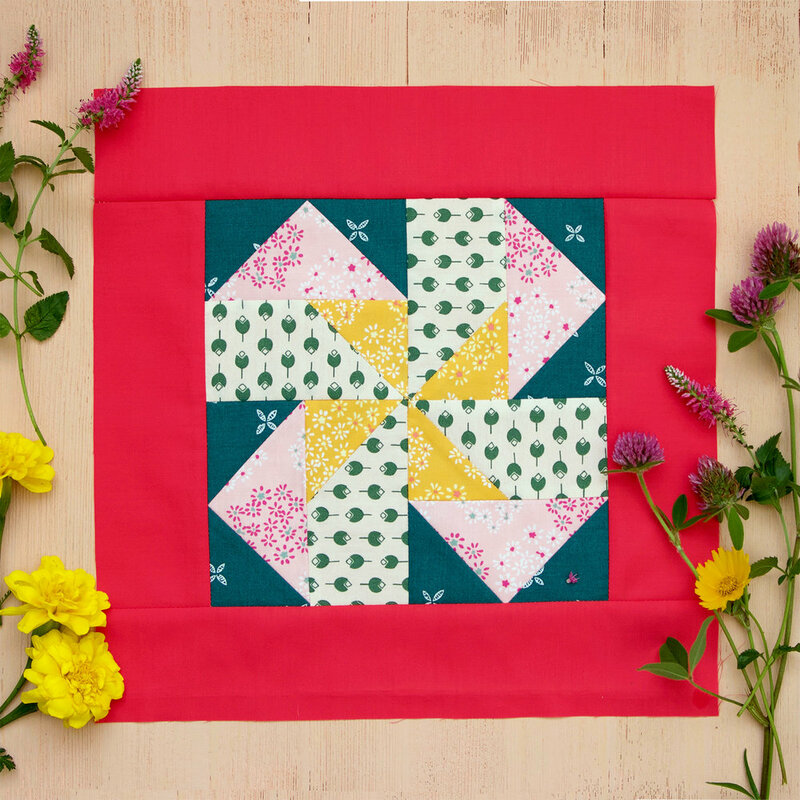 I'm using a combination of my Perennial print from Printemps Fusions and Untamed Beauty Daybreak from Signature as the background setting of my quilt. The Dritz story spans nearly 100 years, and encompasses tens of thousands of creative products. What began as a family business in 1920s New York City, is today a storied brand that is recognized by DIY enthusiasts around the world. Today, Dritz embodies a heritage of quality, value and innovation. Sewists and quilters alike turn to Dritz for top-notch quilting and sewing supplies. Dritz is conveniently sold via mass merchants, independent shops and online retailers, so it’s readily available where and when you need it. - See more at: Dritz! 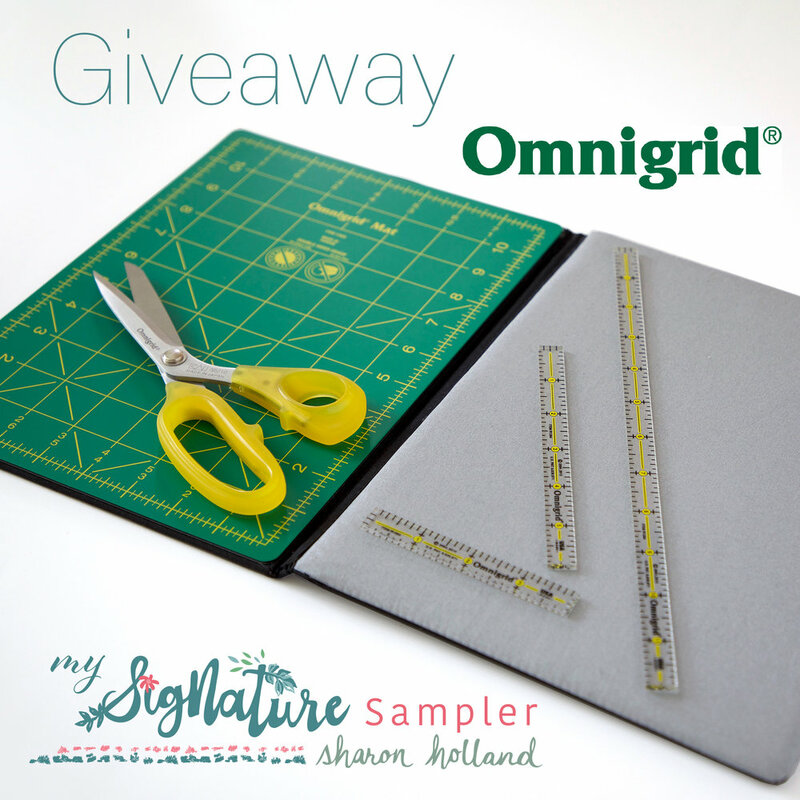 For this week's My Signature Sampler Giveaway, Dritz is offering an incredible prize! 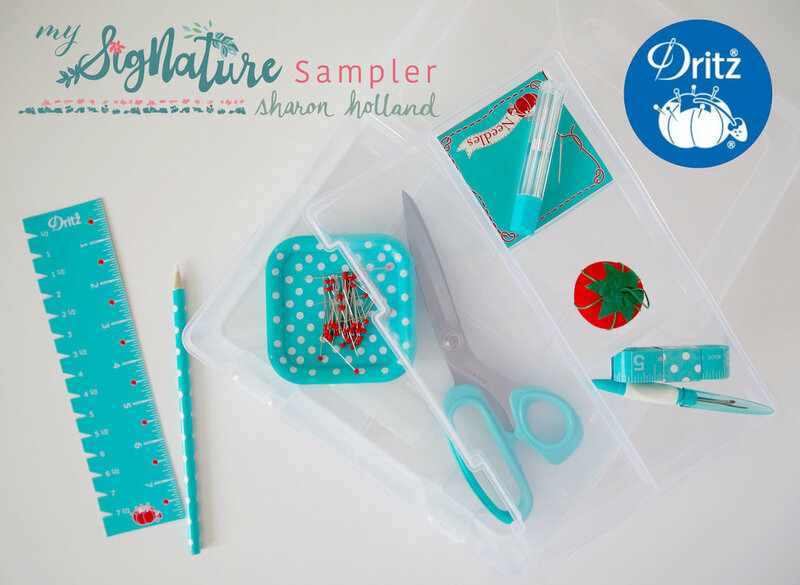 Both the blog and Instagram winner will receive this super cute and useful Dritz Sewing Box Kit! Just look at all these goodies, all in a neat, travel-ready container! And, don't you just love the robin's egg blue color? Giveaway now closed. Congratulations to Linda Cejnar! 2. Follow Dritz on any of their social media platforms (see links above). Just let me know that you did by making a separate comment here to record that entry. (Separate comment-second entry). That’s FOUR possible entries! Enter now through Monday, August 20th! The winner will be picked at random around 4pm Eastern. I will post the name of the winner on this post once they've been notified and responded to my email.